Yes, Baltimore had Cal Ripken and still boasts one of the nicest baseball stadiums in the country. The Ravens have won two championships in the last 15 years, and are one of the most successful franchises in the NFL. The inner harbor is a global tourist attraction, and the crabs and pit beef are worth a visit alone. But unfortunately these are not generally the first things that come to mind when you ask an outsider about the city. Over the last two decades Baltimore has gained a great deal of notoriety for its high crime rate, and abundance of drug dealers and addicts. Hollywood took notice, as HBO’s The Wire was one of the most popular series in the history of the network. Although it never received a major industry award such as an Emmy, the show’s influence is still widespread. It was Obama’s favorite, and if you ask any 20-40 year old non-Baltimorean what comes to mind when they think about the city chances are you’ll hear something about The Wire. And when gang violence and drug dealing, especially heroin, are the topics most associated with a city then there are problems with that city, unless of course the notoriety is unfounded. But recent statistics back the regrettable perception that Baltimore is indeed on of the heroin capitals of the country. Calling Baltimore “one of” the heroin capitals of the country is actually showing some restraint, as several federal agencies have simply concluded it stands alone. The U.S. Drug Enforcement Agency has stated that Baltimore has bar none the highest per capita rate of heroin addiction in the country. The city’s department of health has estimated this number to be as high as 8 to 10 percent of the total population. Baltimore has an estimated population of 650,000 residents, and if the department of health, and the federal government are correct that translates to over 50,000 heroin addicts. It is not just the amount of addicts that are generating the notoriety but also the number of reported overdoses. Last year alone in the city there were over 300 deadly heroin overdoses, and a similar number that lead to hospitalization. There are a variety of potential causes for the rise in heroin abuse, the most obvious being availability. Simply put heroin is easy to get, and the price has plateaued or even decreased due to high supply. 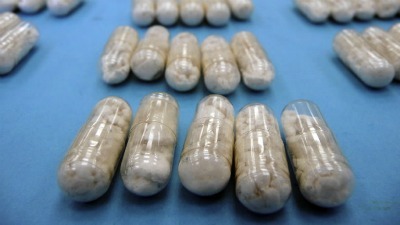 In addition newer types of heroin are easily ingested by smoking or snorting, thus the drug now appeals to users who would once steer clear due to a fear of needles. While the number of addicts and overdoses really is staggering, Baltimore is far from the true heroin capital of the country. The truth is that heroin use is on the rise in urban, suburban, and rural areas in all 50 states. The problem is that here is no true capital, as trafficking and addiction along the Mexican border cities is as rampant as it is in New York City, Chicago, Los Angeles, and even Long Island. As long as heroin is cheap and strong there will always be a market for it. Glamorizing its sale and use clearly does not help, but no logical thinking person would blame shows like The Wire for the recent heroin surge in Baltimore. The only solution has and will always be regulation and taxation, but we’ll see what the legislature can do with marijuana before we even begin that discussion. Benjamin Herbst is a drug crimes lawyer who practices in all state and federal jurisdictions in Maryland. 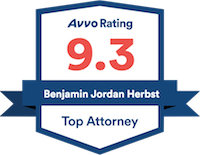 Contact Benjamin for a free consultation about your case anytime at 410-207-2598. Part I: Baltimore Is the U.S. Heroin Capital, abcnews.go.com.